HOUSTON — Surcharge-free ATM network Allpoint has expanded its retail footprint to select Rite Aid stores in the Northeast, Mid-Atlantic and Midwest. 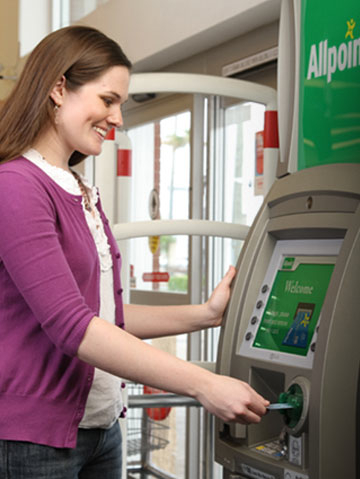 Allpoint said it now has ATMs in more than 3,000 Rite Aid stores, mainly in the following states: Connecticut, Delaware, Maryland, Massachusetts, Maine, Michigan, New Hampshire, New Jersey, New York, Ohio, Pennsylvania, Rhode Island, South Carolina, Tennessee, Virginia, Vermont and West Virginia, as well as in the District of Columbia. “Already the leader in scale and density of high-quality retail locations, now including Rite Aid pharmacies, Allpoint is committed to helping our financial institutions provide their cardholders with a convenient and growing base of surcharge-free ATMs where it matters most,” stated Brian Bailey, managing director of North America for Cardtronics, the parent of the Allpoint Network. Allpoint surcharge-free ATMs are located in retail venues nationwide, as well as in a rising number of global locations, making cash access convenient and on-demand in national, regional and local merchants. Overall, the Allpoint’s network has more than 55,000 ATMs across the United States, Canada, Mexico, United Kingdom and Australia. Besides Rite Aid, U.S. mass retail chains with Allpoint ATMs include CVS Pharmacy, Walgreens, Kroger, Target, Costco, Safeway, Winn-Dixie and Circle K.